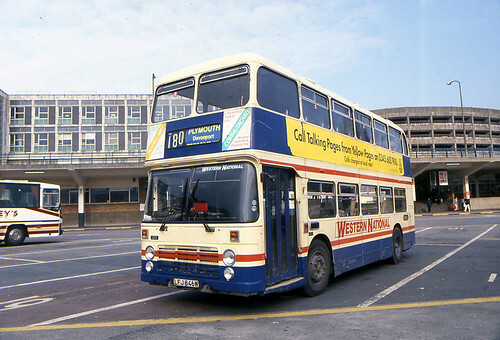 1096 PTT96R is seen in an unusual variation of the blue and cream livery. 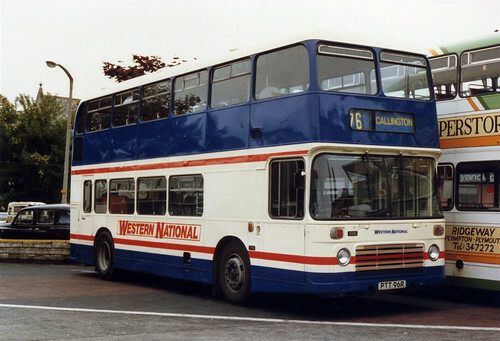 I seem to recall there were one or two variations of the livery probably as they were experimenting to get it right. The extra bit of blue certainly makes a big difference from the standard which can be seen below. I think they made the right choice! From the Peter Horrex Collection - used with permission.